Rachel is a plant scientist and molecular biologist, passionate about plant cell walls and all the useful things they can do for us. She is interested in the ways that the parts of the cell wall are made and put together but even more intrigued by how they are disassembled or fermented in the human gut, because they are the crucial dietary fibre element of our diets. She is also interested in renewable biofuels and believes that different plant feedstocks will fundamentally underpin this industry. Rachel runs a group in the ARC Centre of Excellence in Plant Energy Biology where the culture is one of inclusion, team work and appreciating diversity, and where achievements are celebrated as often as possible with cake! 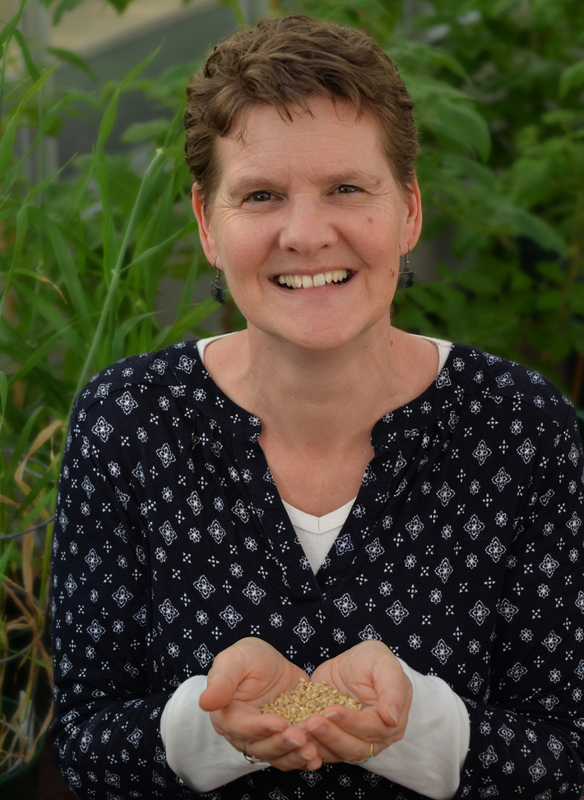 She served as Director of The Plant Accelerator, an NCRIS facility for plant phenotyping, from 2013 to 2015. She loves participating in outreach and science communication events and has recently starred in a Pint of Science with giant DNA and an interpretive dance and a Science Nation event “For the love of Science” where her poor partner got dragged into the proceedings. She can be found Tweeting at @porridgepusher. Rachel has two teenage kids which has given her direct experience juggling parenting with career pressures.